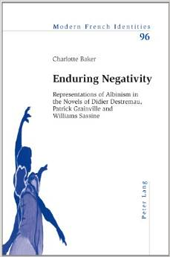 Dr Charlotte Baker wrote her PhD thesis at Nottingham University, UK on the ways in which albinism is used symbolically by writers of fiction, later developing this work into a book, Enduring Negativity: Representations of Albinism in the Novels of Didier Destremau, Patrick Grainville and Williams Sassine (Peter Lang in 2011). She has since published a series of articles examining the work of other Anglophone and Francophone writers who have portrayed characters with albinism in their novels. Children with albinism in Africa are an especially vulnerable group: they are ‘white’ in a black community, visually impaired, suffer skin damage and social stigma. As a leading researcher in this field Dr Pat Lund has led multi-disciplinary studies in southern Africa over 18 years. This application pursues a new avenue of research, fostered by collaboration with Dr Paul Lynch, an expert in the education of visually impaired children at the School of Education, Birmingham University. We aim to investigate the key determinants preventing young people with albinism accessing education in five rural villages in Malawi via a qualitative participatory approach, using drawings, narratives and focus group discussion to explore the impact of albinism on their lives, notably their access to education. This cross-disciplinary partnership, working closely with the Malawian Ministry of Education, the charities Sightsavers and The Albino Association of Malawi (TAAM), will have a high social impact by informing educational policy of this vulnerable group of children in Africa. The large-scale change the project seeks to achieveis to enable pupils with albinism to lead better and more productive lives by promoting their educational inclusion and enhancing their acceptance within local schools, with appropriate support from specialist teachers in visual impairment. It will implement the low-cost recommendations for enhancing the educational environment of those with low vision resulting from a 2011 study supported by the Commonwealth Secretariat, the Malawi office of Sightsavers, and the co-applicants’ universities. This project will use radio and mobile phones to promote these inclusive educational initiatives. It will harness traditional networks and mass media platforms to design in-service teacher training programmes which will reach even remote rural areas. Text messages via mobile phone will identify schools educating children with albinism and provide short informational messages and alerts. Workshops will offer professional training to specialists in visual impairment. An initial pilot project, culminating in feedback from a radio broadcast aimed at raising awareness of albinism and inclusive educational practices among teachers will be implemented in Malawi where 82% of the population live in rural areas, radio is the main means of mass communication, and the use of mobile phones is widespread and growing. It will then be extended to Zambia, with potential for future dissemination to other countries in the region and throughout sub-Saharan Africa. If successful, this will provide a model system for raising awareness of disability and other issues amongst teachers. Since May 2014 Standing Voice has screened the observational documentary film ‘In the Shadow of the Sun’ in multiple outreach venues in Tanzania, following its Tanzanian premiere in Dar es Salaam as part of the 2014 National Albinism Day celebrations. The award winning film, directed by Standing Voice founder Harry Freeland, follows the lives of two men with albinism over 6 years as they confront multiple challenges to achieve their ambitions. It has been screened in over 70 countries around the world, in a range of international development arenas including the United Nations offices and Human Rights Watch Film Festivals. The aims of the Film Outreach project are to increase understanding and awareness about the condition, and advance motivation amongst community members to socially and economically include this group in the community’s development. Standing Voice’s film outreach events include a Q&A about the film specifically, along with broader focus group discussions on topics such as the science of albinism and the social inclusion of people with albinism. All film outreach events provide platforms for multiple stakeholders involved in this issue to communicate and interact with the public. Key stakeholders include albinism associations, dermatologists, police, local government representatives, senior teachers, traditional healers and village level leaders. In response to recent attacks on people with albinism the film outreach will continue to be taken to attack locations across the Tanzania and beyond.